La Posada del Cacique i Arequipa, Peru: Reservér nu! Lovely, very friendly, family run hostel. In a great location in the center of town. Hot water and use of kitchen. Free internet. Spacious rooms with 4 meter high ceilings. Laundry Service and Free Luggage Storage Service. Nice sunny courtyard/patio. 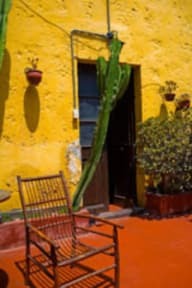 Recommended in the South American Footprint, Guide Routard and Lonely Planet guides. Safe neighborhood. Good information on tours available. 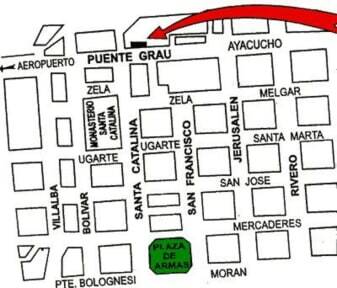 A longtime backpackers favorite in Arequipa!